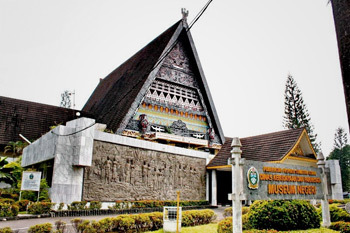 North Sumatran museum was located approximately 4 km to the south from the center of the city, which is in HM. Joni Street 15 Medan. The Minister of Education and Culture Dr. Daoed Joesoef opened north Sumatran museum in April 1982. This museum open on: Tuesday – Thursday (08.00 – 16.00) Friday – Sunday (08.00 – 15.30) and Closed on: Monday. We could be done some activities in this museum such as; photographs, Study and learn about culture and the object of the North Sumatran history.